You can now get the published, edited version of Maxim now on most retailers! Grab part 1 now. Part 2 coming in March, 2019! Links in comments and bio. Welcome to Club Triple X. This book is part of a series collaboration between myself, Lydia ( @Lydia161290 ) and Kelly Louise . It started as part of a Halloween short-story back in 2016, but has since turned into so much more, offering a variety of novels written by different authors based in the same dark city, Fair Haven. 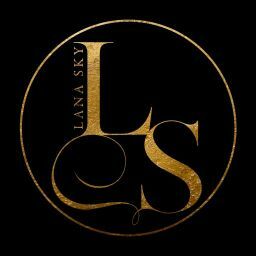 You can also read the full draft on my website www.lanaskybooks.com. There you have access to more of my stories, (including never before read exclusive stories in the VIP section) as well as forums and other fun goodies. Be sure to introduce yourself! This story is DARK. I mean it. -Again, DARK themes. You have been warned.